Coinbase is no doubt the best place to buy Bitcoin, Ethereum. You could checkout detailed post on how to buy Bitcoin using Coinbase.com. 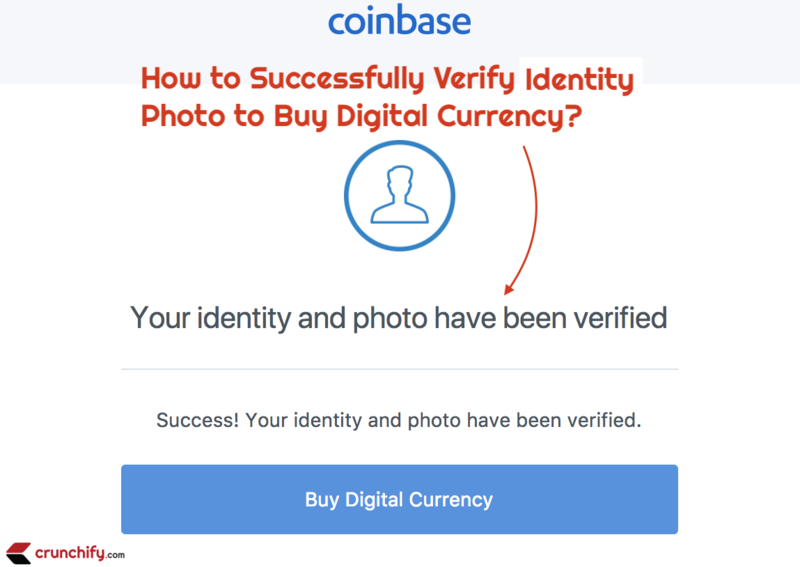 During buying process, Coinbase will ask to verify your identity. In my case it took just 30 seconds to verify my identity. How to verify your identity for Coinbase.com? You could use your US Passport or Driver license to verify your identity. I uploaded my Driver license to get started. Upload front side of the Driver license when asked. Then upload back side of the Driver license. Once done, Coinbase will ask you to take a picture of yourself. Just point Laptop or Desktop Camera to yourself and Coinbase will verify Identity within 30 seconds. That’s it. Once verification is done, you will see details on what kind of verification you have done under Identity Verification page. Enjoy and Happy buying Bitcoin.